New life is on our minds at Babyccino both because Spring is in the air, (yay!) and… because we currently have a few pregnant mamas and a newborn on our team. So we wanted to share our favourite books that we read while pregnant. 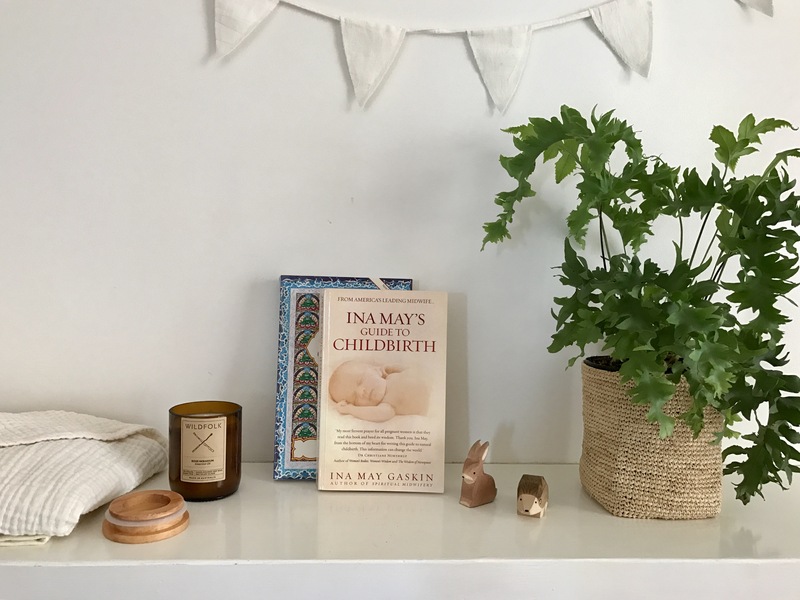 Books that inspire, educate, prepare, and inform us so we are ready for all and everything that we may experience in labour, in nursing, and in the first year of life. And there was a common theme to our book reading recommendations — our entire team of mamas never liked a mountain of pregnancy advice books to read, rather, each of us had only one or two favourites which we read again and again each time we were pregnant. I think that is a good testament to a good pregnancy book, one you read over and over to prepare our pregnant bodies and minds. And books that connect us to the birth process is something all mothers want to do, no matter what type of labour you have in the end, right? So here are seven of our read and approved favourites. 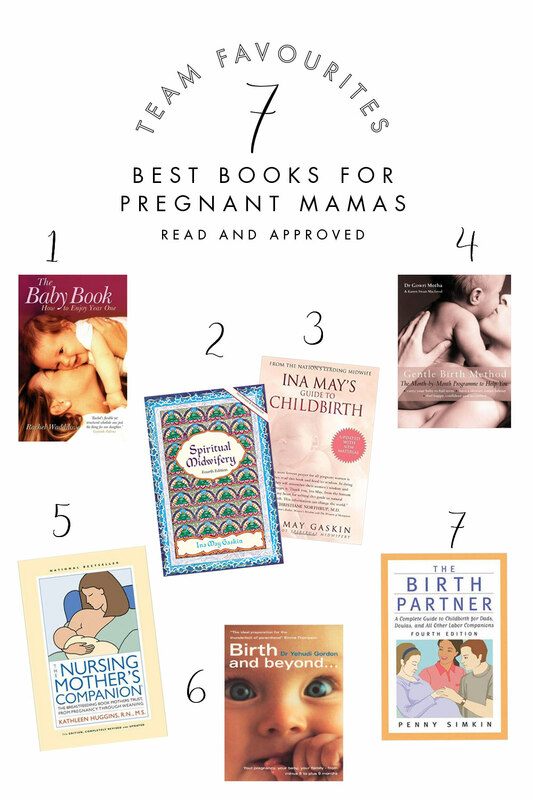 There are so many books about pregnancy, but which were the books that you found most informative? Did you buy every book in the shop, or loan out millions of library books the second you found out you had conceived? What were books that friends and family recommended to you?… We’d love to know so our pregnant community can be supported. Isn’t that a lovely part of pregnancy, sharing experiences and supporting other women? It was one of my favourite parts of both of my pregnancies. ps And instead of a card to congratulate a newly pregnant friend, I found that Meditations for Pregnancy : 36 Weekly Practices is a great small gift. Most pregnant mamas benefit from slowing down and reflect while growing a human(s). I personally kept it on my bedside table both pregnancies and read it each week with a cup of herbal tea, enjoying it’s calming tone. Breastfeeding made easy- the miskin method was a book that I bought for my daughter-in-law as the support that I received in hospital 30 years ago does not seem to be there any more. She is Taiwanese, and between the two of us, and this book, she became a super relaxed and super successful breast feeding mum. Our birth instructor recommended ‘Stand and Deliver’ which I’m rereading right now in preparation for baby 2. It’s nice and lighthearted, perfect for those last weeks and I liked the positivity about labour and delivery. I hadn’t heard of that one, thanks Jay! The book that was a game changer for us was The Diaper-Free Baby by Christine Gross-Loh. It is the one I recommend and give to expecting friends. Thanks for posting this group of books. Most live on my bookshelf as my “go to guides”. They provide endless support and tons of valuable info.